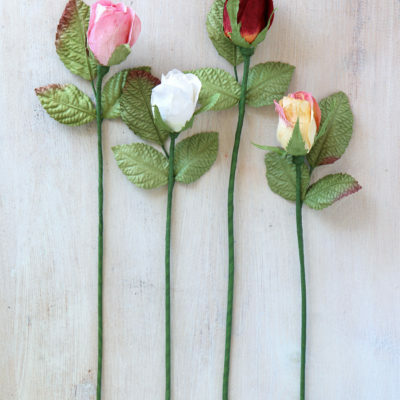 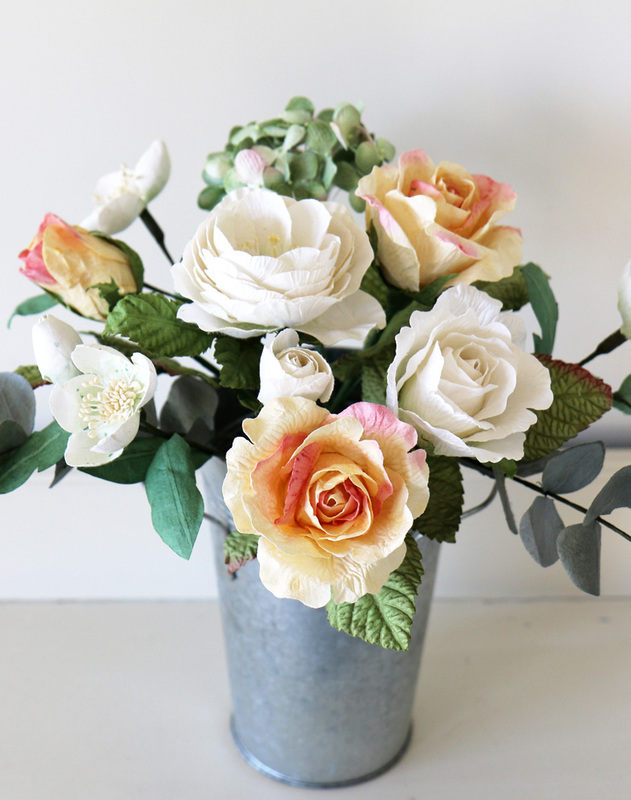 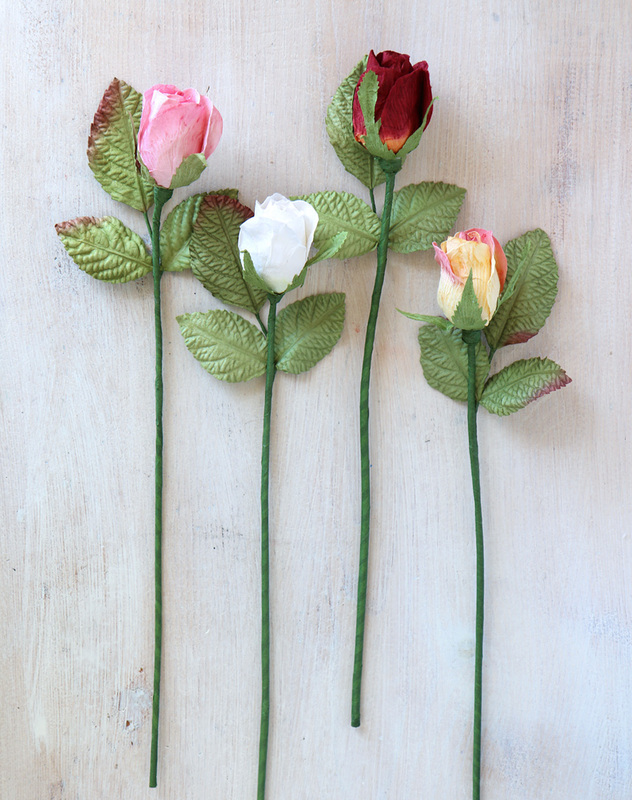 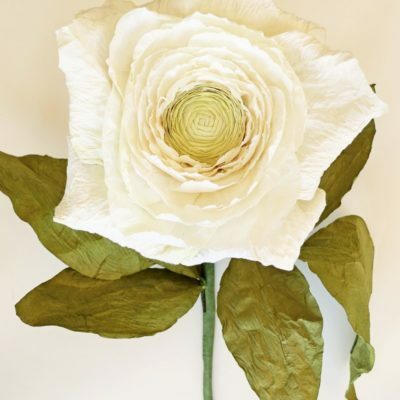 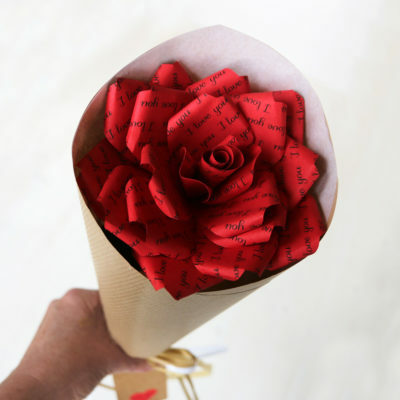 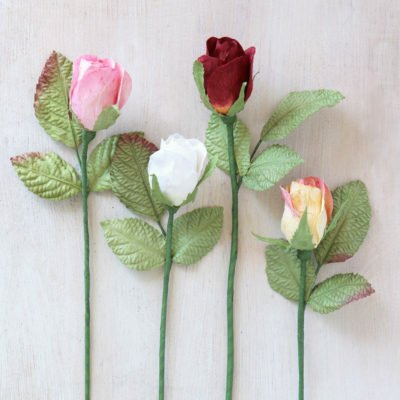 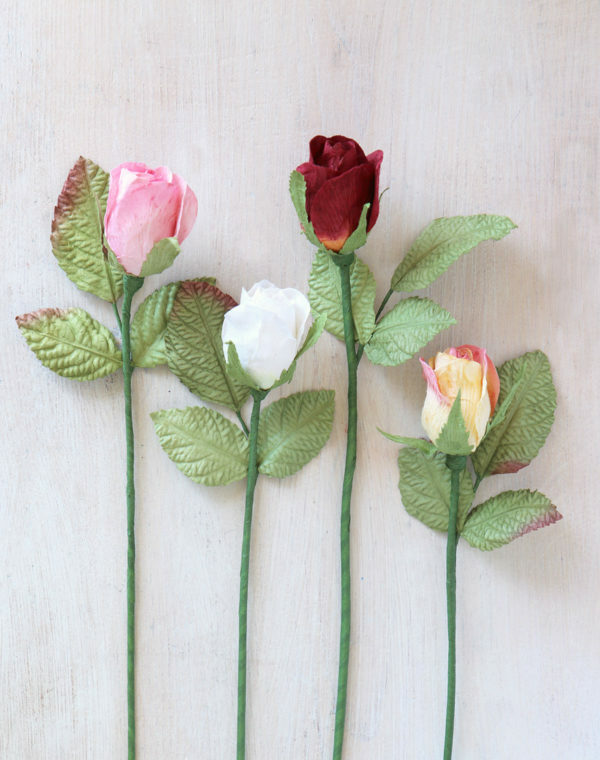 Paper Rosebud, beautifully handmade and available in 4 colours – pink, yellow (with pink tinge), ivory/white & red. 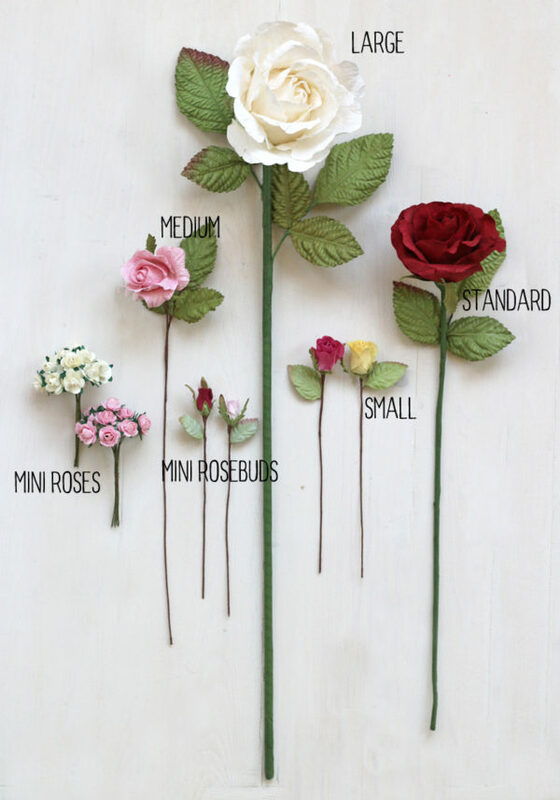 The rosebud stems are a standard size, approximately 40cm long and the bud 4cm in diameter. 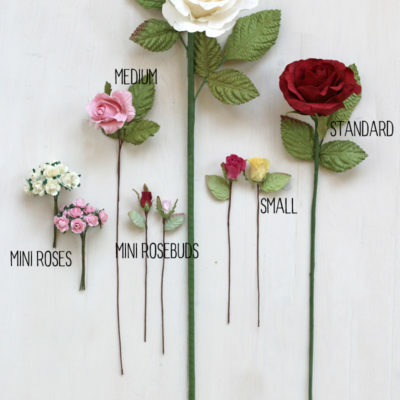 The rosebud stems are a standard size, approximately 40cm long and the bud 4cm in diameter. 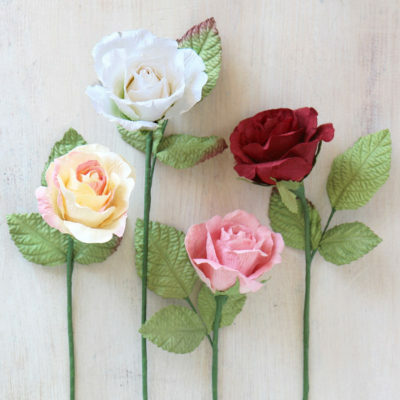 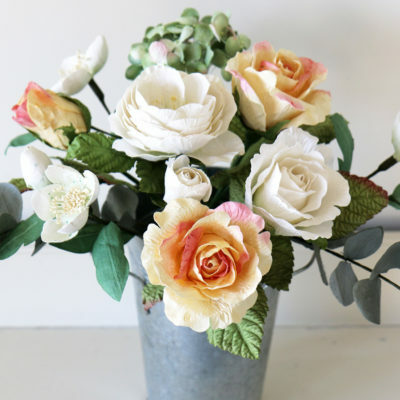 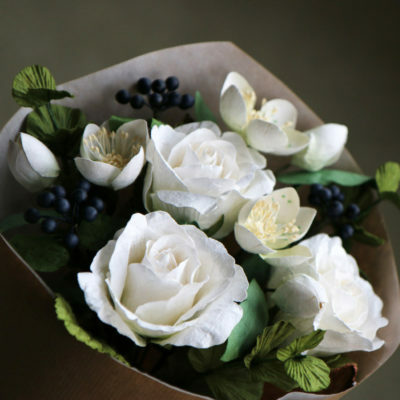 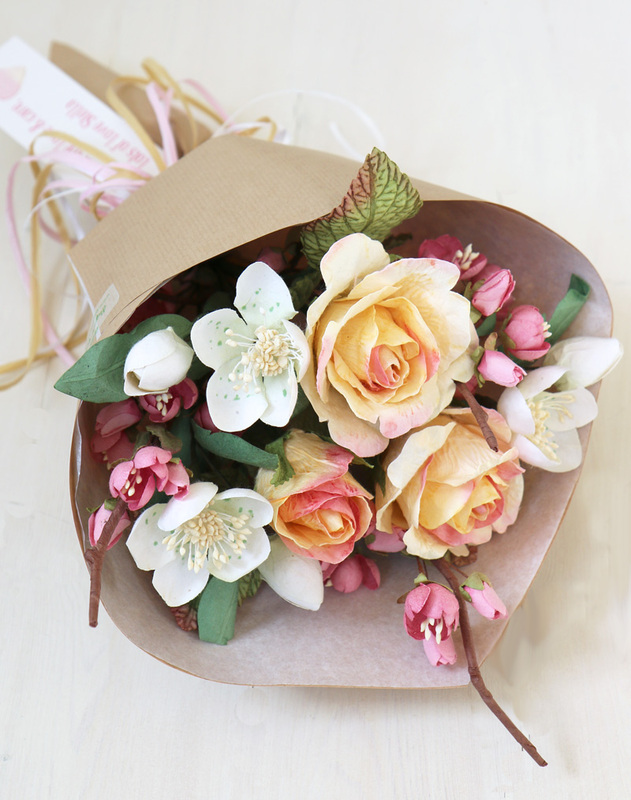 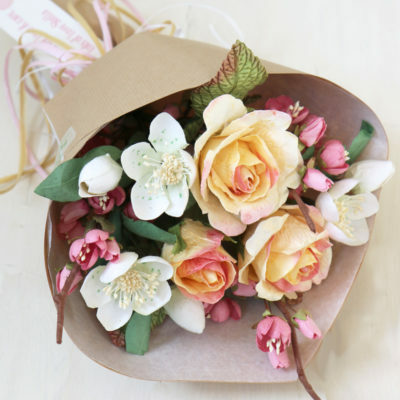 They are beautiful as a single rosebud or as a bouquet or arrangement with other paper flowers.